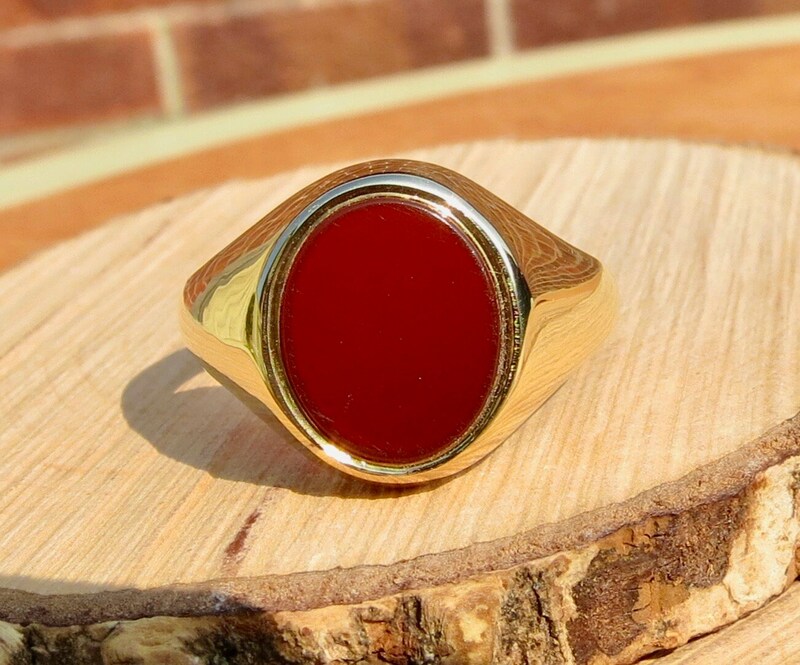 This vintage 9K yellow gold and red cornelian signet ring has an oval red cornelian. Then setting measures 1/2 inch at its widest point. Wide shoulders lead to a narrow band. British Hallmarks of Birmingham England. No date letter. 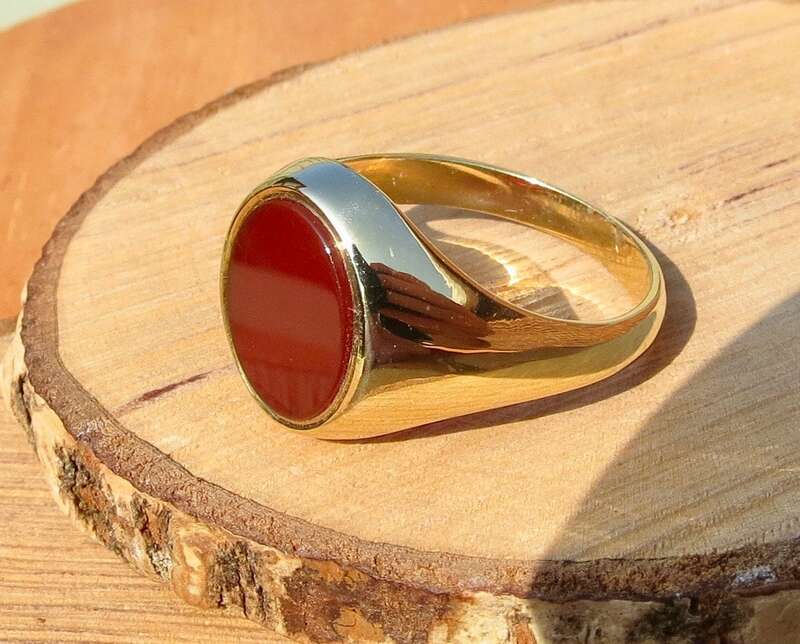 Cornelian is a brownish-red mineral which is commonly used as a gemstone. 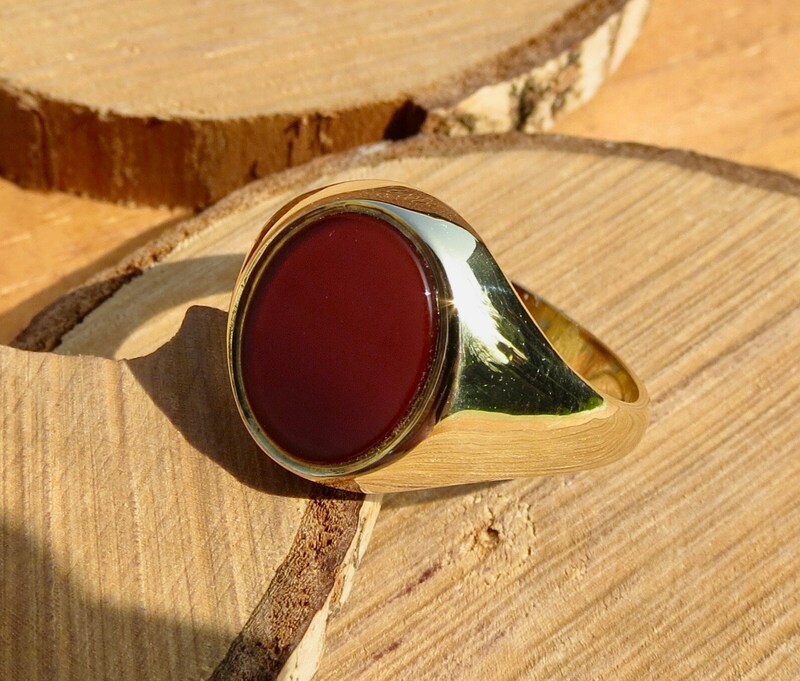 The colour can vary greatly, ranging from pale orange to an intense almost-black coloration. It is most commonly found in Brazil, India, Siberia, and Germany. 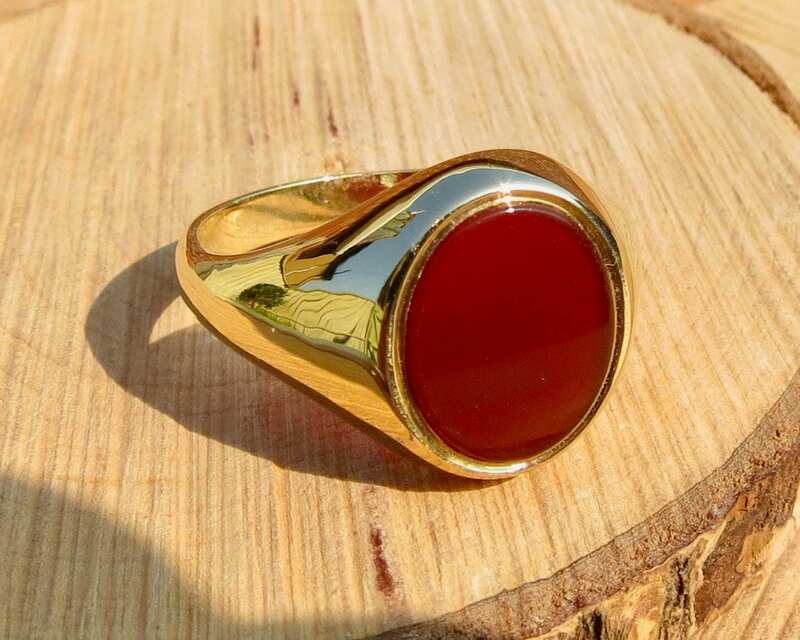 Historical examples of this gemstone as jewellery have been found long ago between 4th-5th millennium BC. 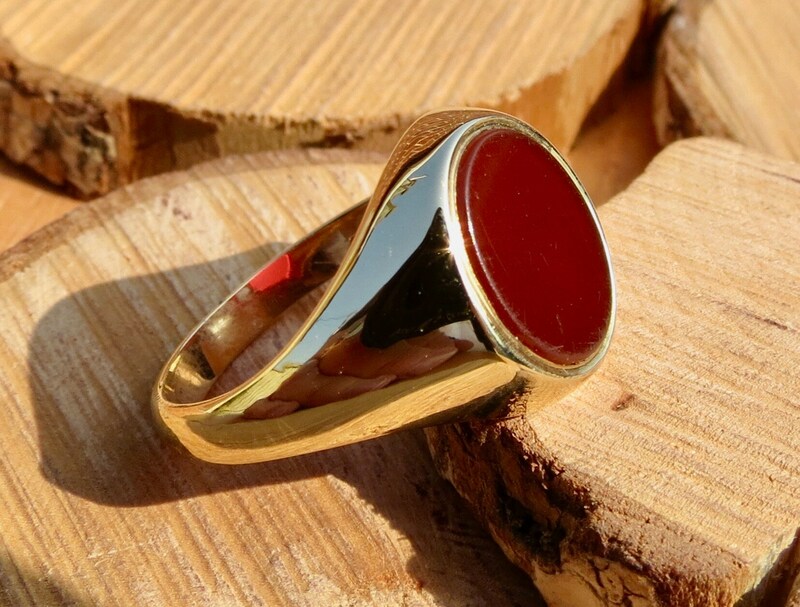 Carnelian was recovered from Bronze Age Minoan layers at Knossos on Crete in a form that demonstrated its use in decorative arts. 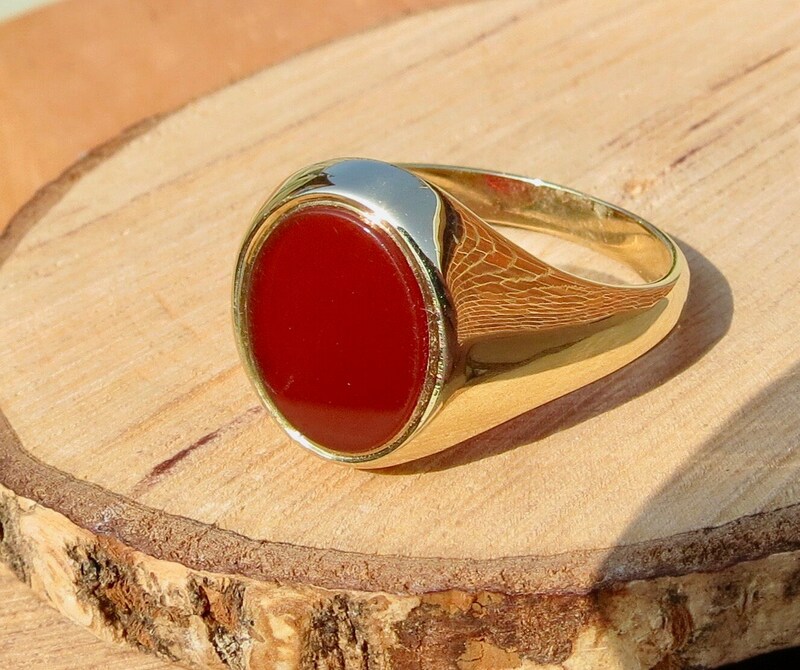 Carnelian was also used widely during Roman times to make engraved gems for signet or seal rings for imprinting a seal with wax on correspondence or other important documents. 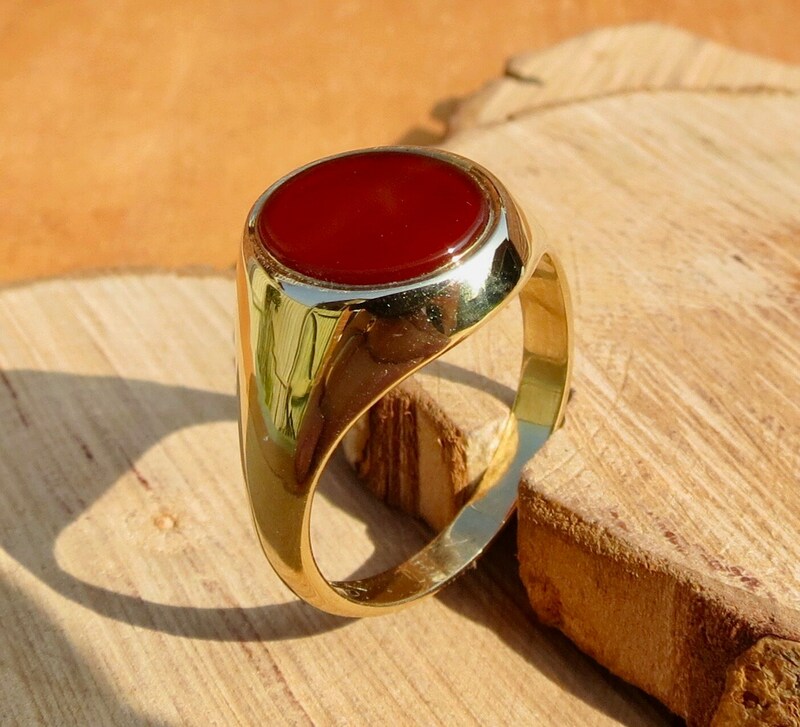 Hot wax does not stick to carnelian. 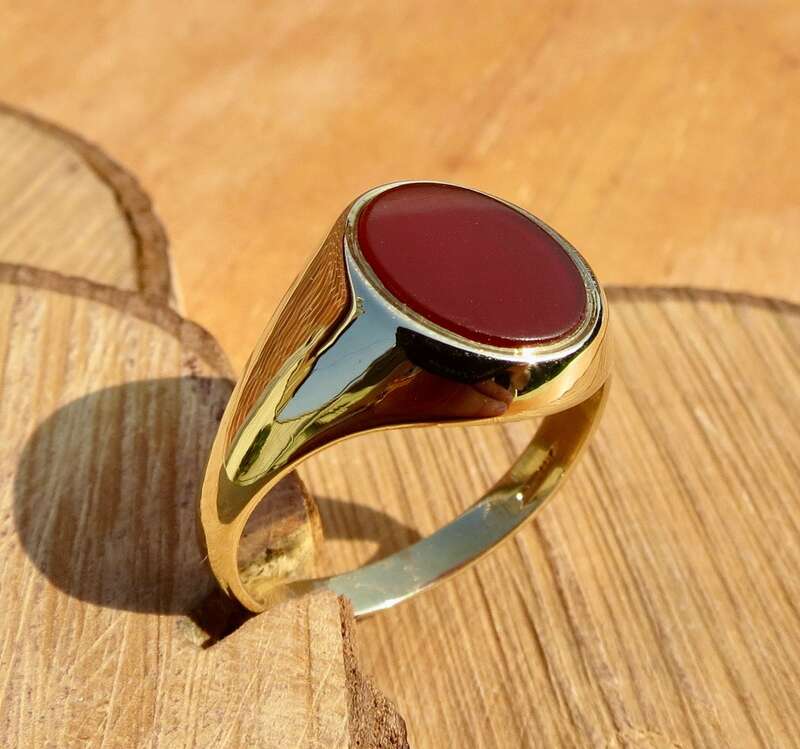 It was used for Assyrian cylinder seals, Egyptian and Phoenician scarabs, and early Greek and Etruscan gems. 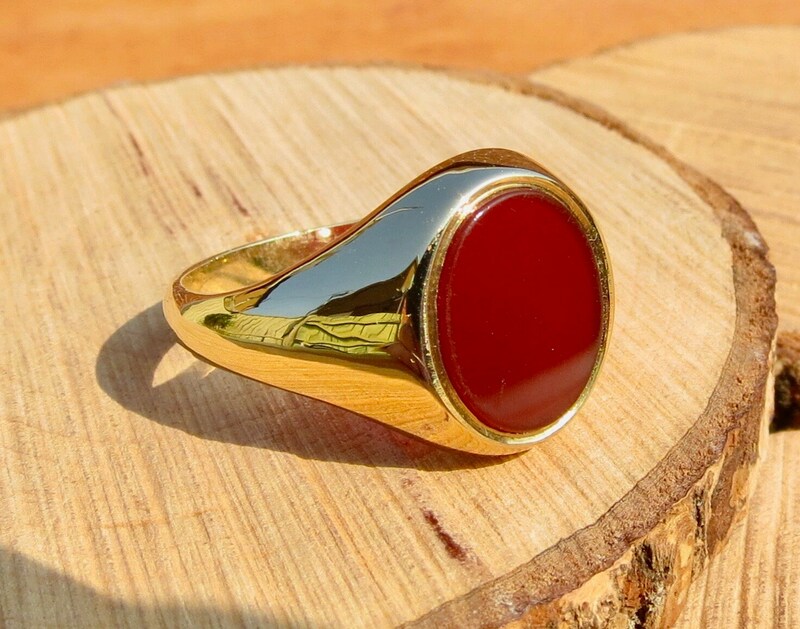 The Hebrew odem (translated sardius), the first stone in the High Priest's breastplate, was a red stone, probably cornelian. 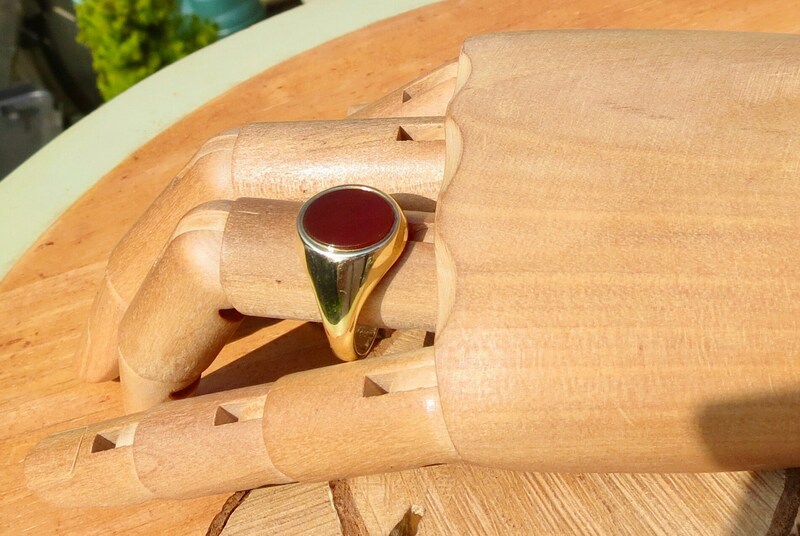 Just upload the resize my ring listing before you go through checkout.